So it was the i965 Intel graphics driver that failed to submit batchbuffer, and I had no idea what that meant. So I Googled that error and I landed on a github issue that gave a hint: force software rendering for libgl in KiCAD. It ran without any problems, albeit a bit slower 3D rendering which was manageable to just continue working. And the error was back. That was enough testing. I had found a quick fix to get me going. That was my quick fix. I am still to find out why hardware acceleration is not working for this version with the intel graphics driver and potentially fix it. I wanted to panelize a test board I made in KiCAD in order to send to a fabrication house for a test run. I thought it would be fun to do it so I can learn how to panelize. I found out about the GerberPanelizer from ThisisNotRocketScience GerberTools github repository. I immediately went to the repo’s release page hoping I would find working Linux binaries, but its a C# application and on downloading and launching the windows binary in mono, I got some errors. The only other option was to clone the source and build in my machine. It was not straight forward. I found the awesome issue 53 on the repo which explains how to install in Linux step by step, including the cloning some of the dependancies and building them, but that did not work all the way through. The following steps helped me easily get GerberPanelizer running on Ubuntu Linux[18.04]. Coolterm is a simple serial port terminal application written by Roger Meier in Xojo. It has some features that other terminal applications dont have which makes it way cooler. You can select whether to run it in raw mode where the characters are sent from the computer to the device connected on the other end of the serial link as soon as you type them, or in line feed mode where the character array is sent after you press the enter key. You can even select what exact combination of characters will be appended at the end of the line as a line feed marker. The line feed mode is very useful for devices that implement protocols with timing constraints like AT commands. The other neat feature is the hexadecimal or ascii view with highlighting of currently selected character. It comes in handy especially when you get non-printable characters like carriage return and linefeed. Coolterm Linux version can be downloaded from the author’s website. The application itself is a portable binary file, so the installation process is just copying it to your favorite bin directory in your computer. I put mine in /opt/. Any hold backs I should know? Coolterm has one disadvantage though: it requires installation of some 32-bit compatibility libraries on a 64-bit machine. If you really need it, they can easily be installed. I wanted to log data from sensors to ThingSpeak™ using a microcontroller board and the ESP8266 WiFi module. 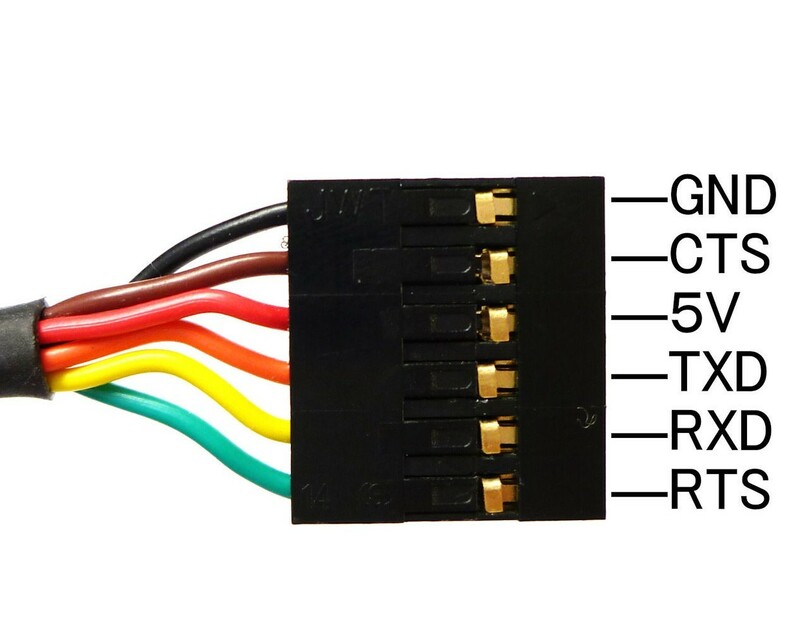 While writing the firmware and testing it on the FRDM-K64F board from NXP, I realized it was kind of cumbersome to test because there were many things that were going wrong with the TCP connection being unpredictable. Also the AT commands would provide a slightly different response message depending on the state of the ESP8266 module. To make testing easier, I fired up MATLAB and started looking at how to log data on thingspeak.com in a more consistent way. A quick search led to me to MATLAB thingspeak support toolbox. 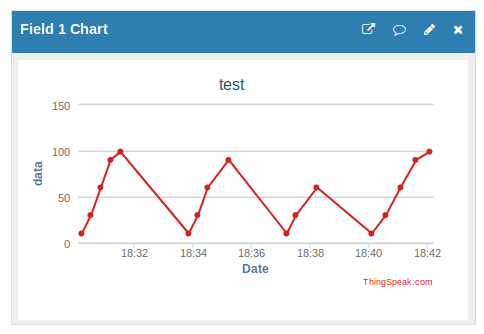 It makes it very easy to push data or read data from thingspeak.com. I downloaded the file from the Matlab Central toolbox page, opened the file in MATLAB and installed the toolbox. After this I read the documentation and I was able to write a single value to thingspeak.com using the thingSpeakWrite function. To simulate periodic data upload, I created a MATLAB timer with a period of 15 seconds to upload a sequence of five values, [10, 30, 60, 90, 99]. Requests are too frequent. Wait for 15 seconds between write requests. I bought some esp8266 boards for an IoT project to work with FRDM-K64F board and realized quickly that they are not responding as expected. I wanted to upgrade the firmware to the latest so as to test further, leave no stone unturned. These are the steps I followed to upgrade the firmware in Ubuntu 18.04. Let’s get some facts about FreeRTOS tasks before attempting to create one. A task has four states it can be in: Running, Ready, Blocked or Suspended state. So a task is running if it’s been allocated time and is executing in the CPU. A task is ready if it is not running, simply because there is another task running in the CPU and its waiting its turn, kinda. A task is blocked if it’s waiting for an external event or it’s called the delay function. It’s worth noting that a blocked task usually has a timeout after which it will enter the ready state whether the external event already happened or not. And finally a task is in suspended state if it calls the function to suspend itself, vTaskSuspend(NULL) or another task calls that function passing the task’s handle, vTaskSuspend(xTaskHandle). A task will only come out of the suspended state if there is a call to the vTaskSuspend( xTaskHandle ) function passing the task’s handle, xTaskHandle. Each task also has a priority which can have a value from 0 upto (configMAX_PRIORITIES -1). For now lets assume this maximum priority value is 32. You can read up on the details of what determines this maximum value in the docs. To create a task, we will need to decide the priority we need to assign it. The priority number denotes the urgency of running the task in the the CPU. The bigger the number, the higher the priority. The system has what is called the idle task with priority 0. We will talk more about it later, but for now we can base our tasks’ priorities on the idle task’s priority, tskIDLE_PRIORITY. Priorities make sense if you have multiple tasks in the system, so we will create two tasks. One task to print “hello” and the other one to print “world” to the standard output. We will assign both tasks priority 1 and test, then change the priorities to see what happens. We need to understand the FreeRTOS API functions necessary to create a task and schedule it. Tasks in FreeRTOS are created to execute C functions with infinite loops in them. In C, we declare a function in a .h file, define it in a .c file and then you call it in the main method. Similarly, we need to declare and define a task before we can create it. So for our hello task will have have the following code in the .h and .c files. I have been following a process involving several steps to export a complex shape from inkscape SVG to a dxf file and later import the 2D dxf into openscad and then do a linear extrude to get a 3D model. I was wondering if there is a shorter or direct way of doing this, like getting the data points from the inkscape vector graphic and then using the polygon primitive in OpensCAD to create a polygon that I can extrude. I tried opening the svg in a text editor like Gedit, copying just the data for the polygon, using an online svg to WKT converter and finally copying the converted points into OpensCAD and creating a points variable with that data. This worked as a proof of concept but the origin was far off and I couldnt figure out how to easily fix that in the conversion process. It was also too much of a process to follow. As I was messing around, I stumbled upon an inkscape plugin for doing the conversion in a straight forward way, exporting actual OpensCAD code with the origin variable defined. This is awesome. you can even launch OpensCAD with the exported file to preview from the plugin’s widget. Now you can use the extension. 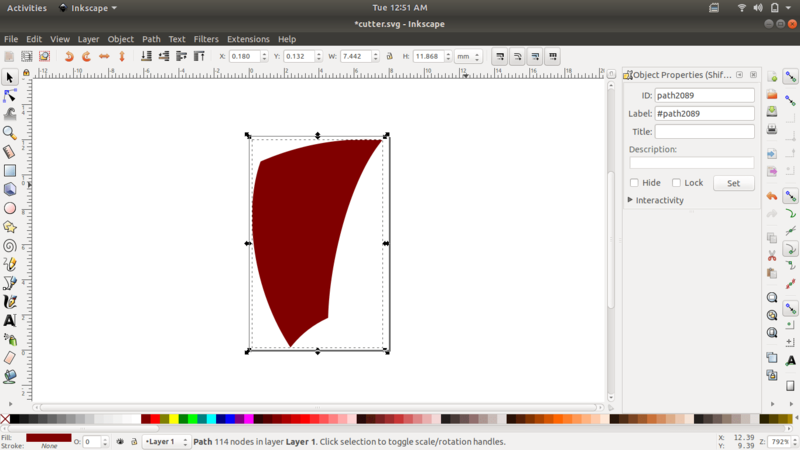 Open inkscape and create a new file or open an existing one. I installed the latest version of android studio after upgrading my laptop to Ubuntu 18.04. There are subtle changes that you have to make to the old projects after importing them into the new android studio to make gradle sync successful and build dependencies satisfied. In the project under Gradle Scripts, open the build.gradle(Project:name) file. In the buildscript section, make sure you have included the Google Maven repositories, i.e google().